Theatre B | Rearranging the furniture of your mind. PERFORMING APRIL 25 – MAY 18! Three new moms from different backgrounds bond over parenting babies. Simple? 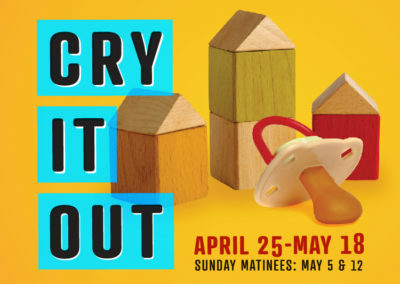 Friendship, marriage, careers are anything but simple in Cry It Out, a comedy with dark edges. 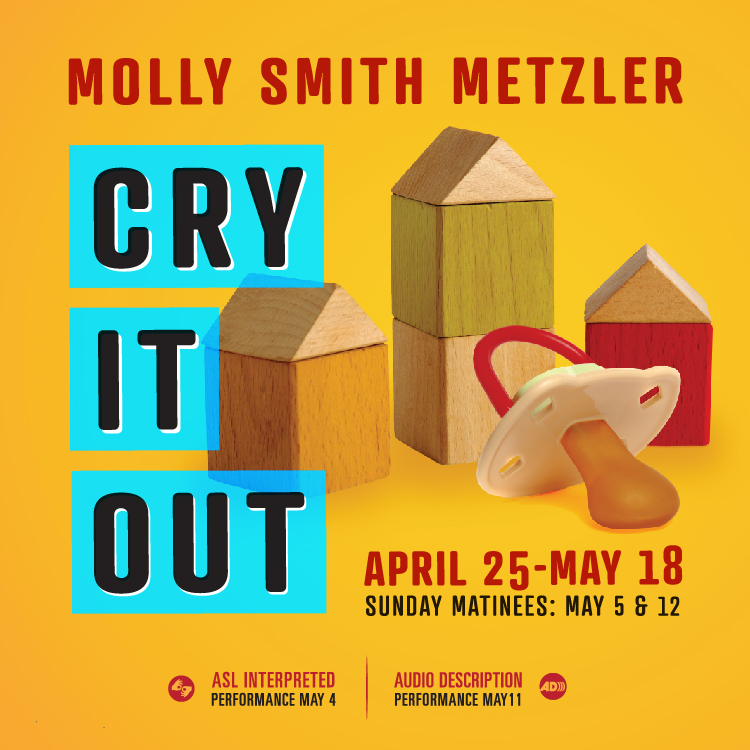 Cry It Out takes an honest look at the absurdities of navigating women’s choices, family life, and job security in modern day America. *Season Flex Passes apply to Main Stage productions only.